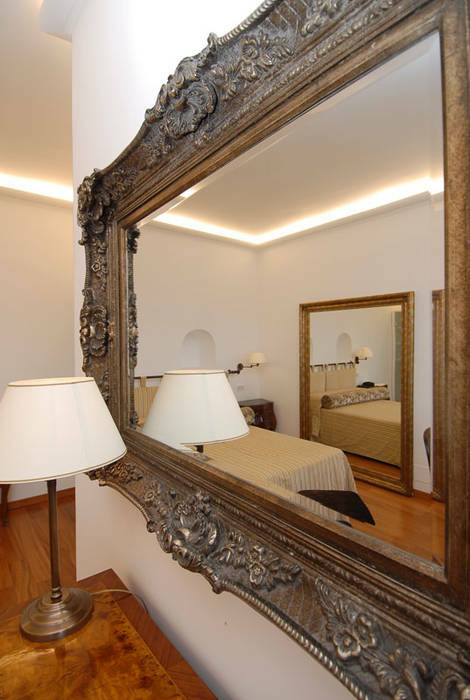 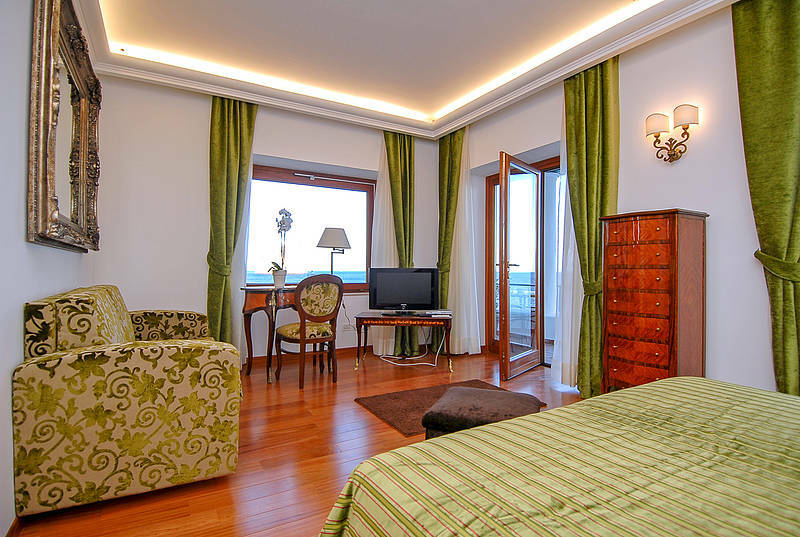 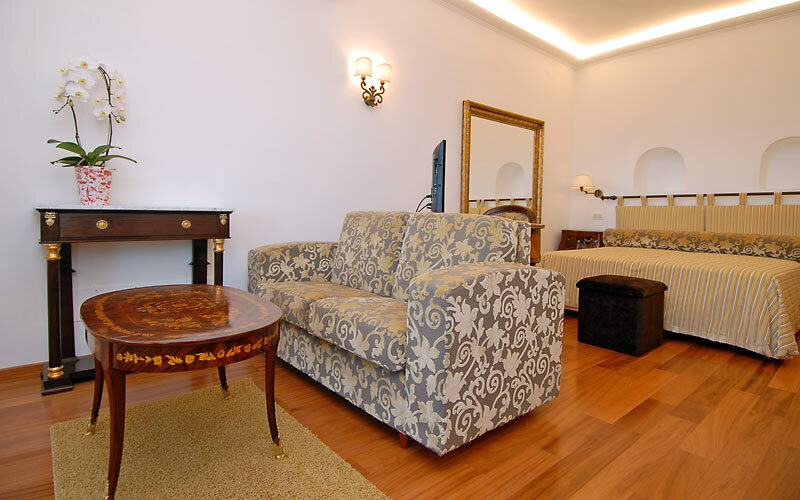 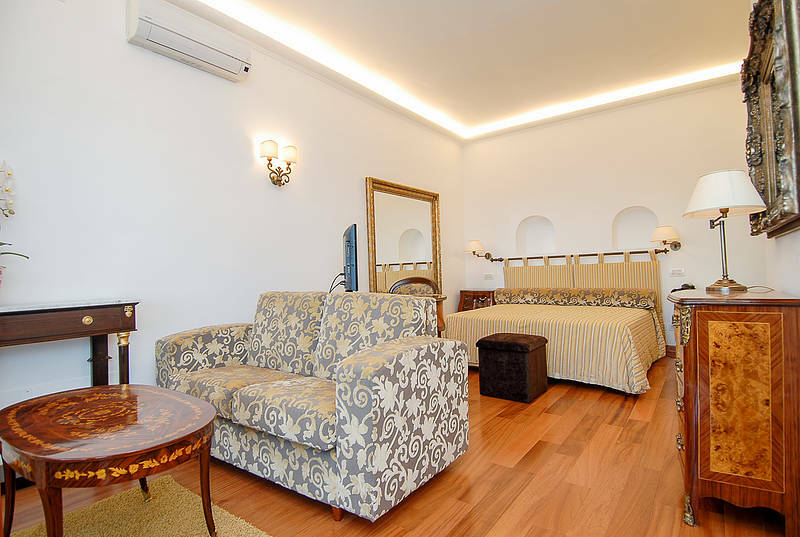 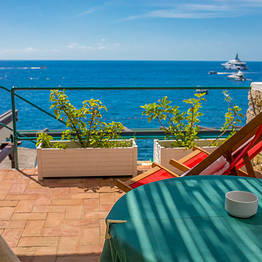 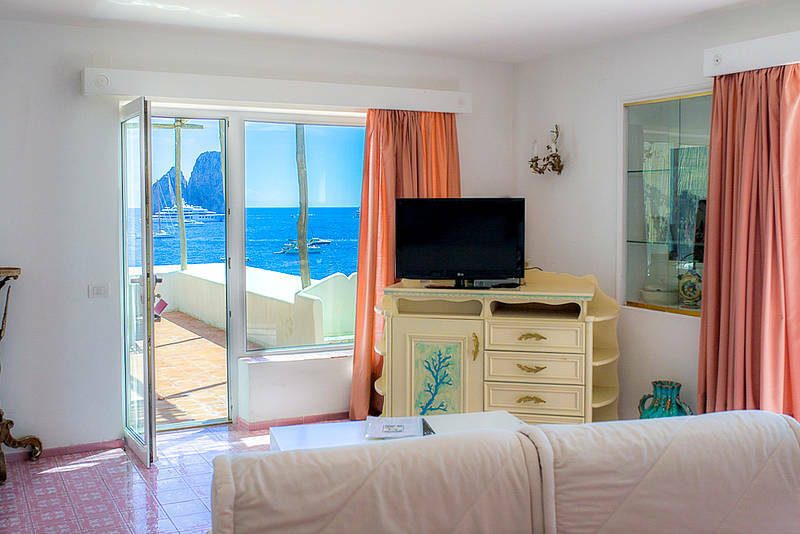 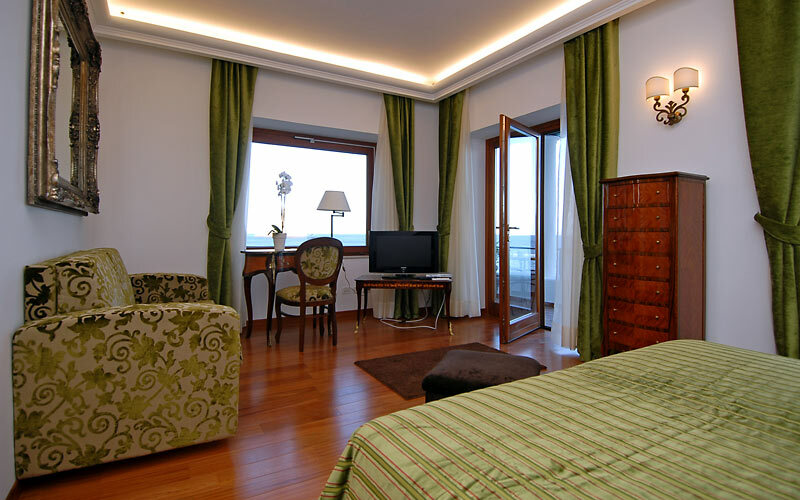 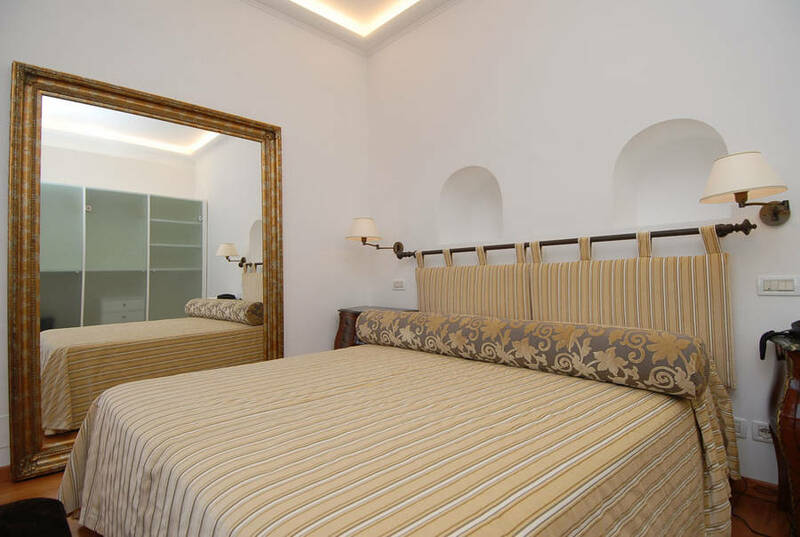 Diva Suites Capri: 3 reasons to book here | Capri Booking. 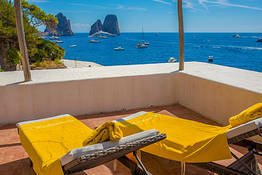 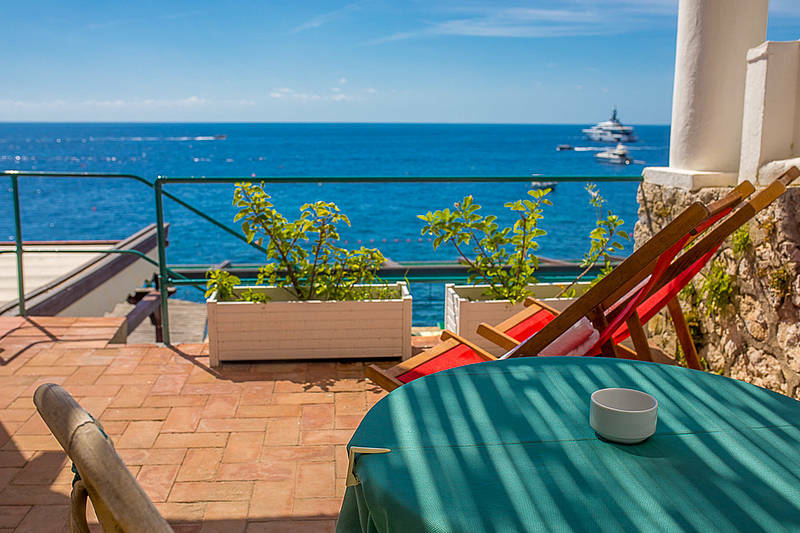 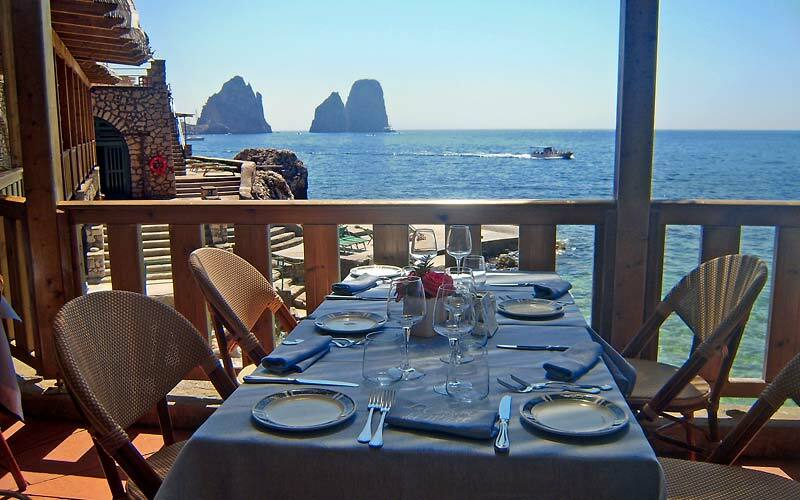 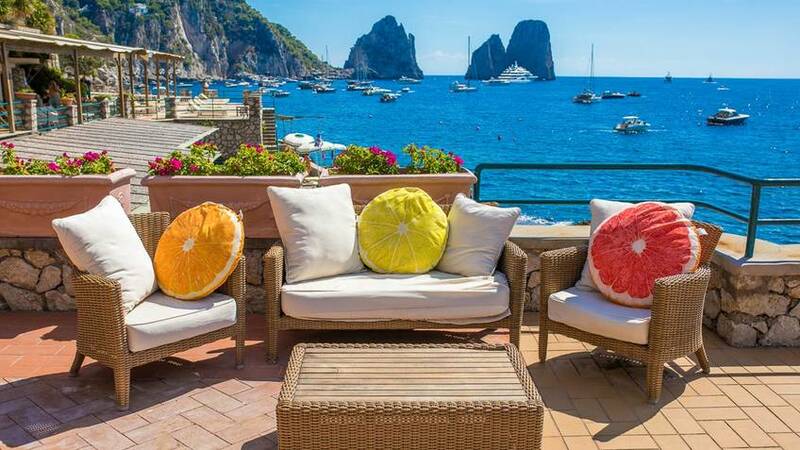 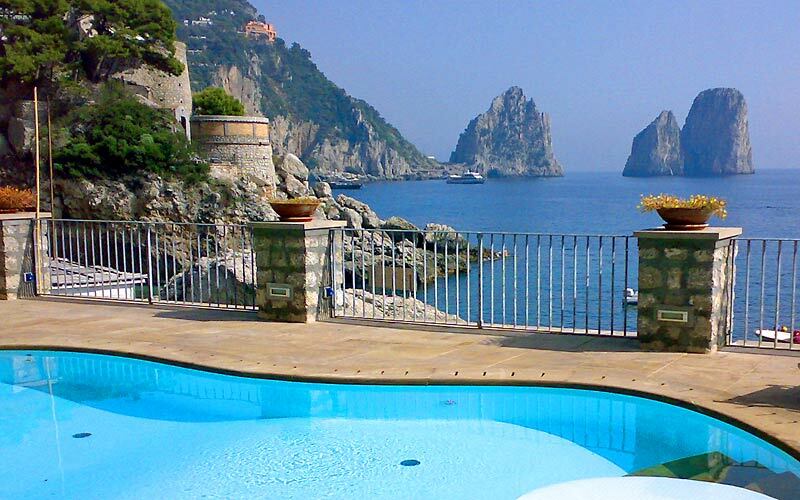 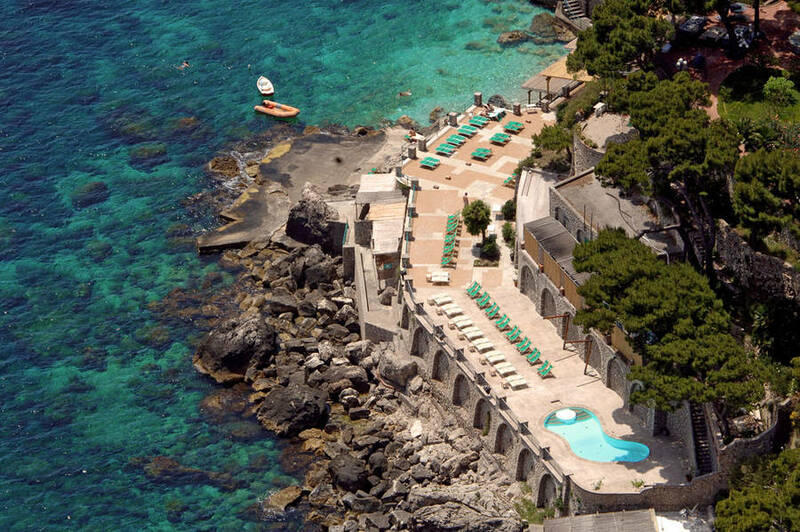 Spacious rooms with private terraces facing Capri's Faraglioni in the Bay of Marina Piccola. 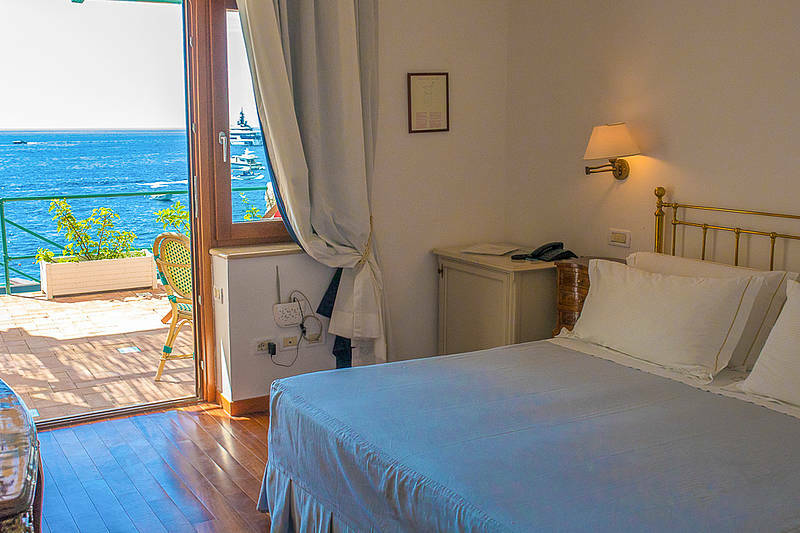 These 17-square-meter rooms have air conditioning wifi, satellite TV, and a minibar. 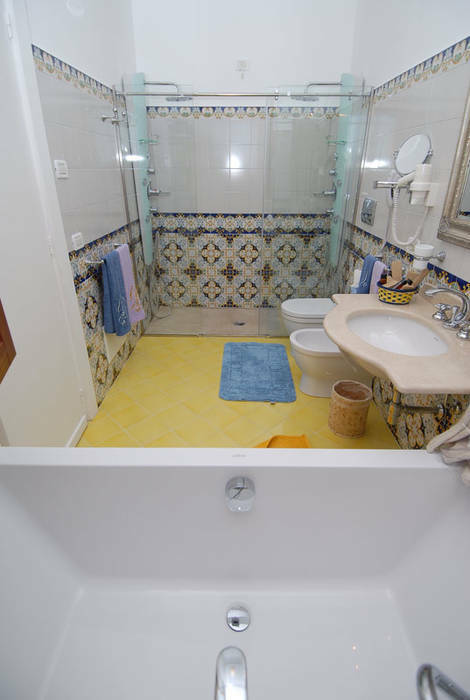 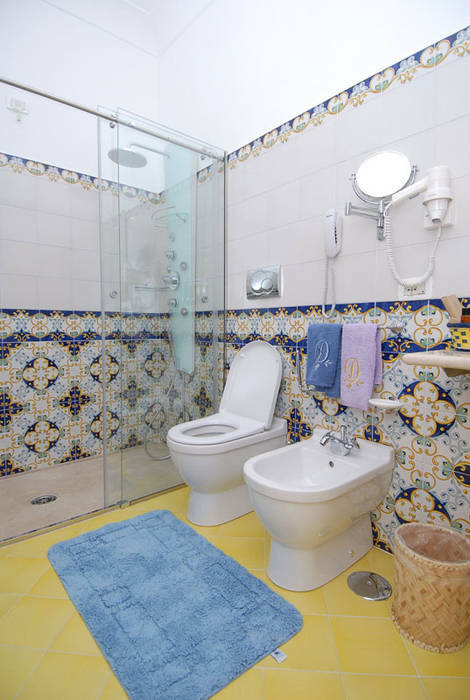 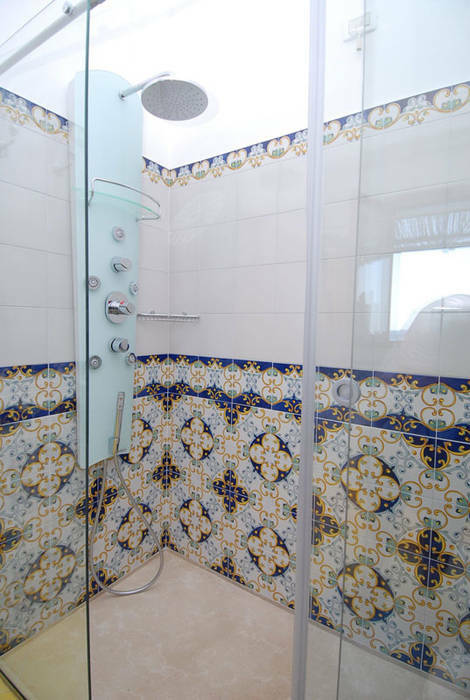 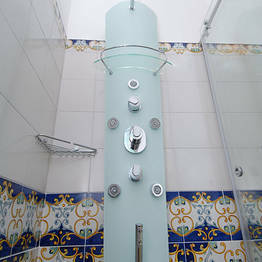 Each has an en suite bathroom with a hair dryer and bath products. Room rates include free entrance and a sun bed at La Canzone del Mare beach club. 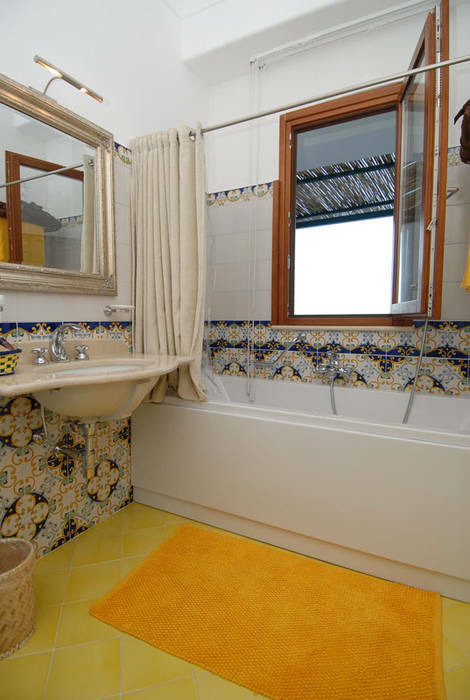 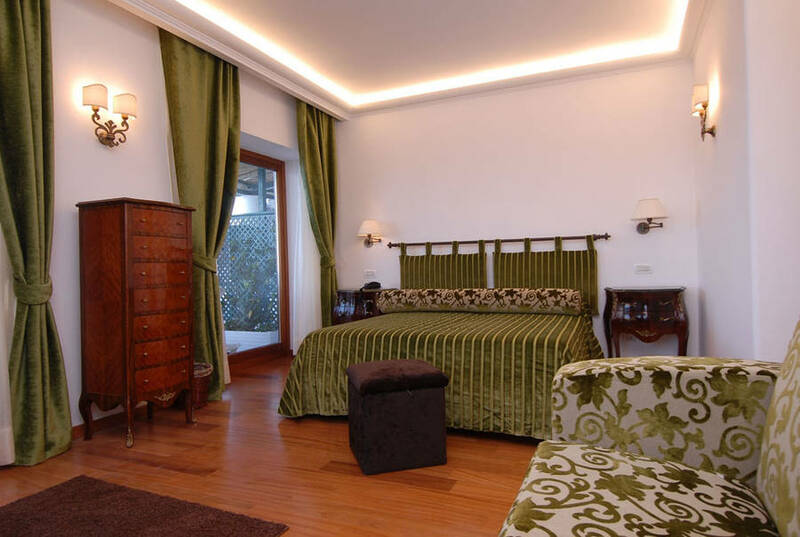 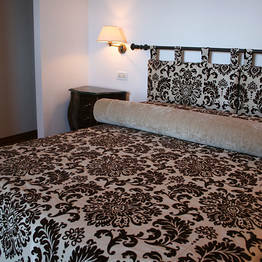 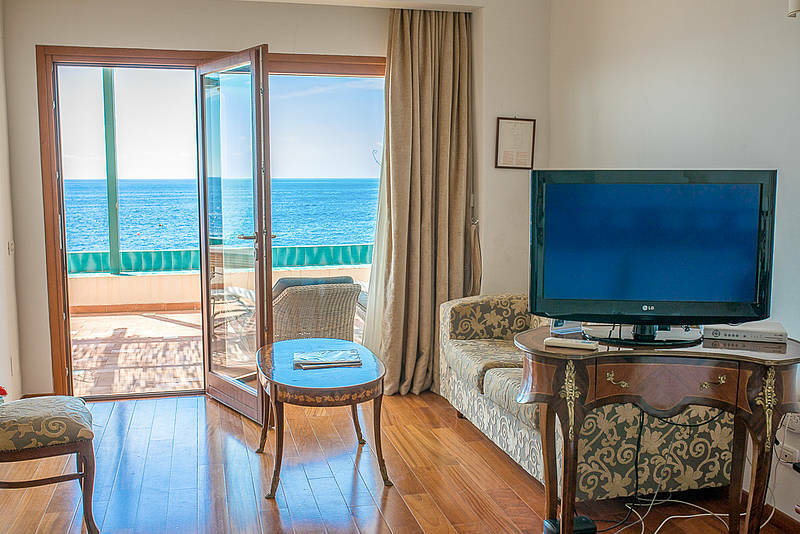 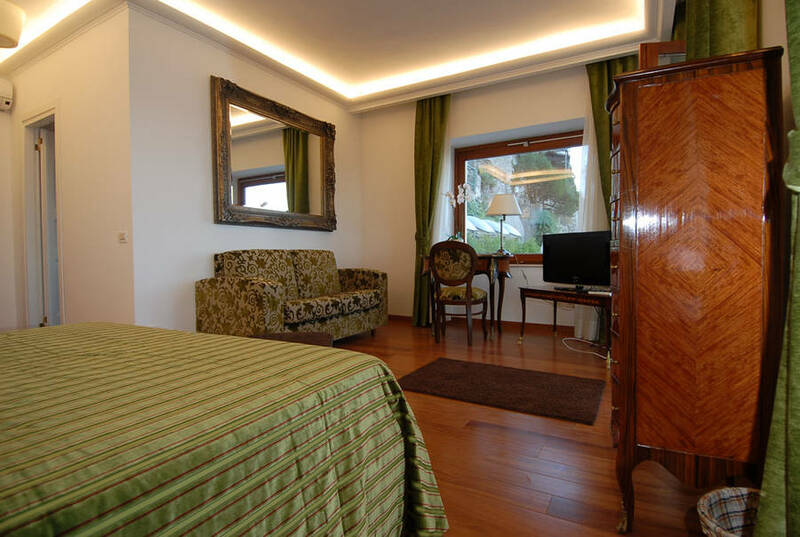 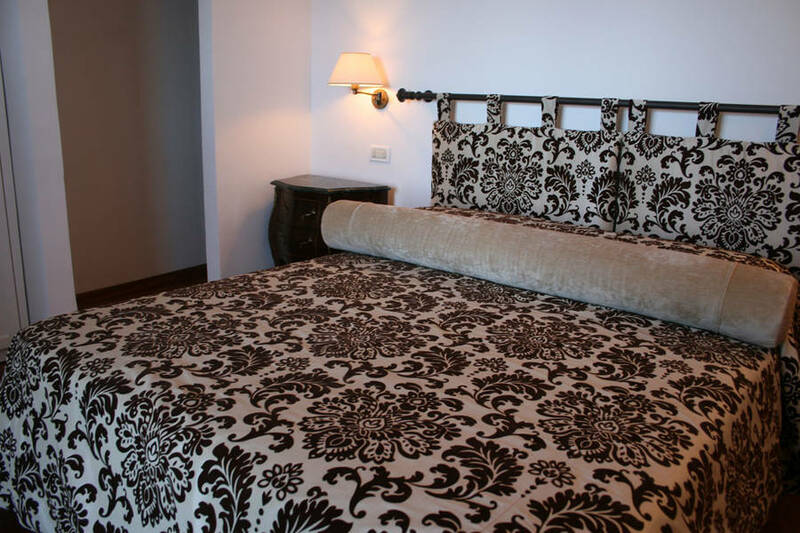 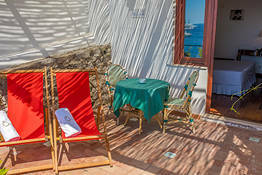 Intimate rooms with small private terraces overlooking the sea and the Bay of Marina Piccola. 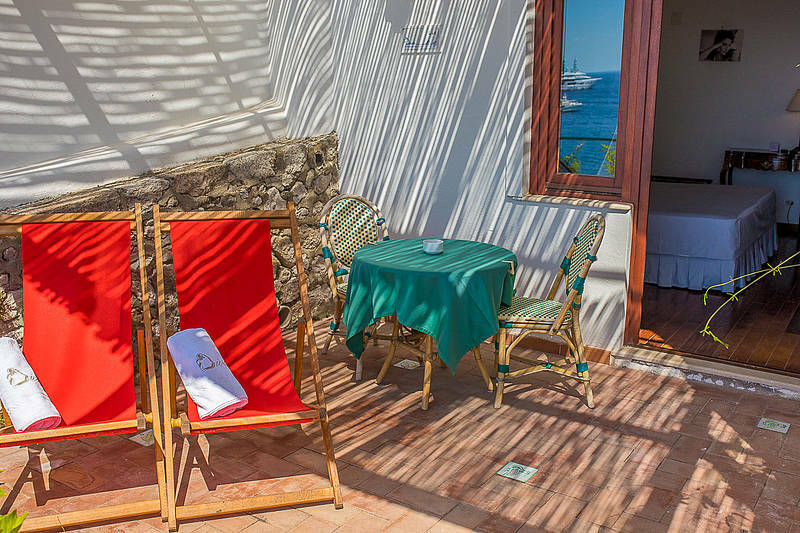 These 13-square-meter rooms have air conditioning wifi, satellite TV, and a minibar. 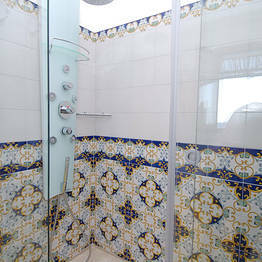 Each has an en suite bathroom with a hair dryer and bath products. 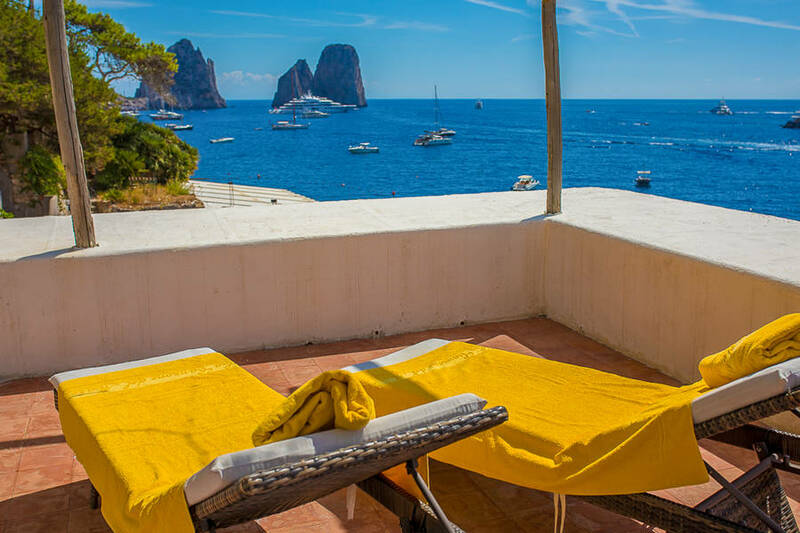 Imagine an intimate coastal retreat overlooking the Bay of Marina Piccola, surrounded by the brilliant blue sea washing the shores of Capri. 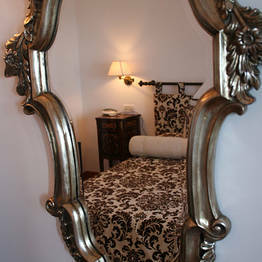 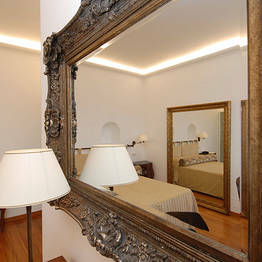 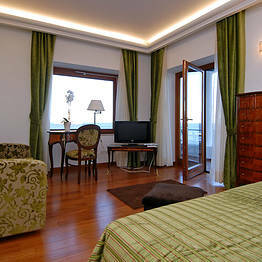 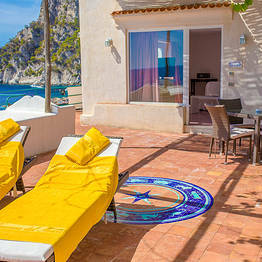 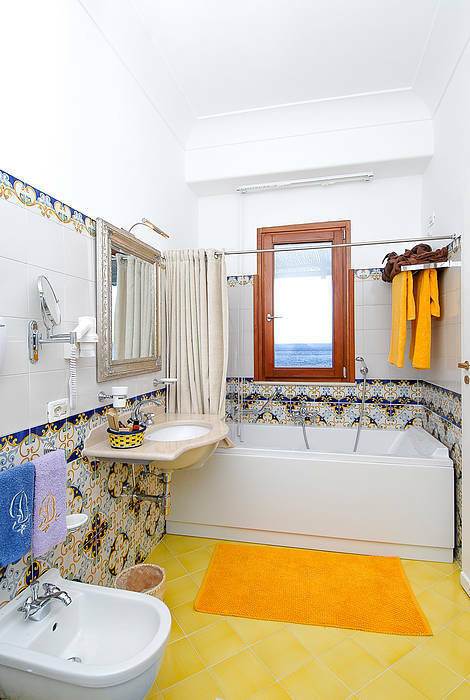 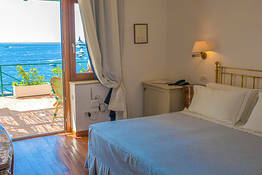 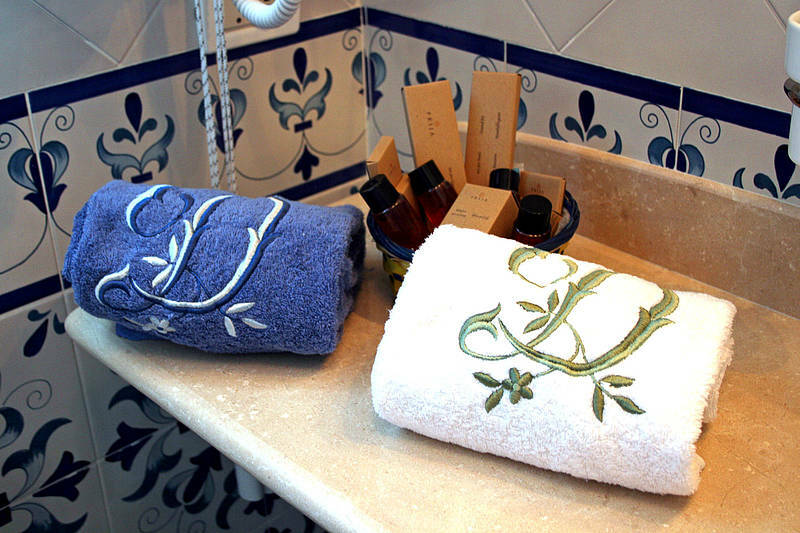 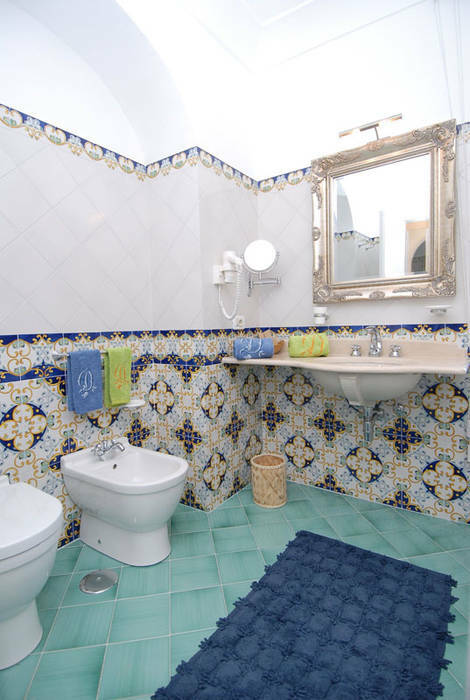 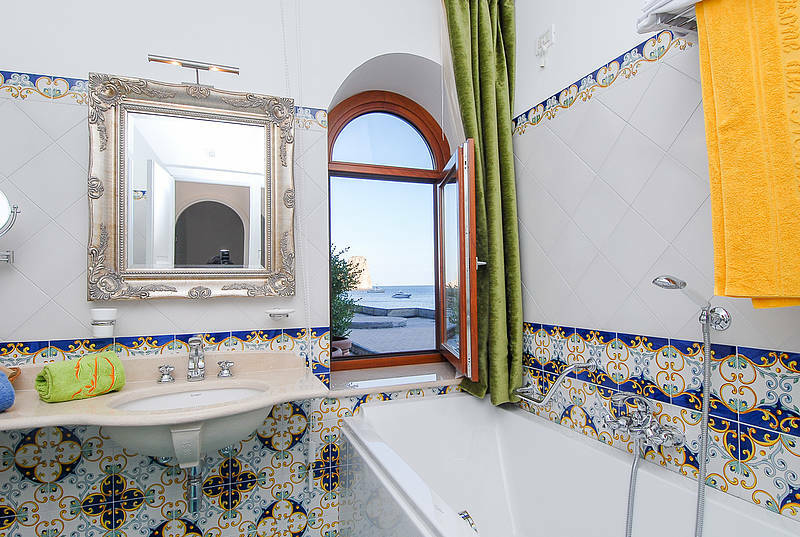 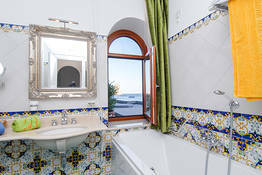 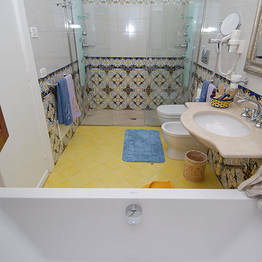 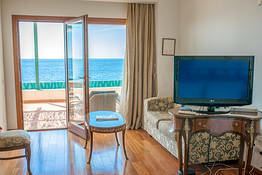 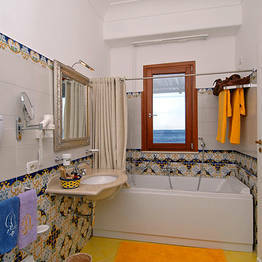 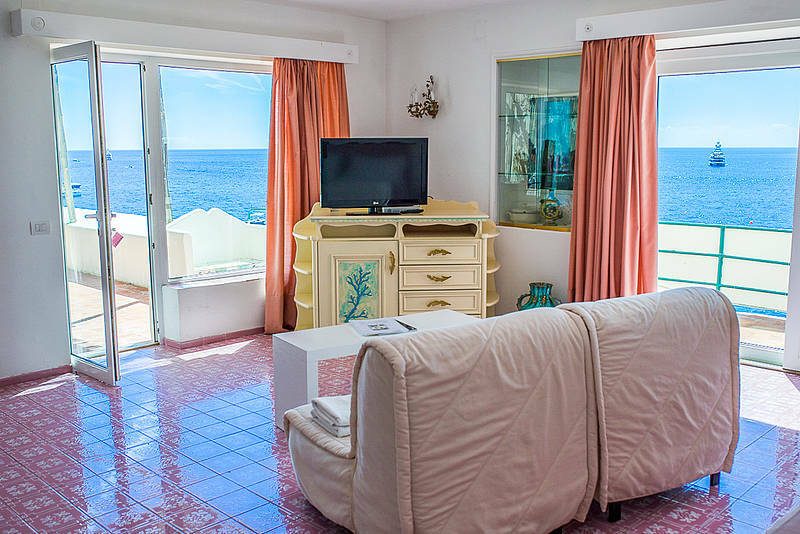 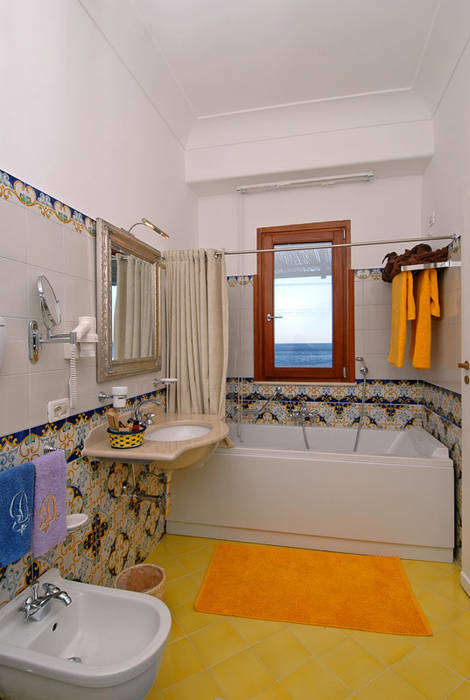 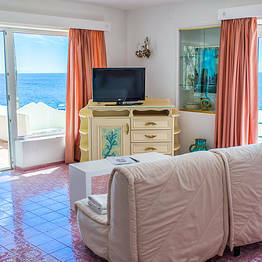 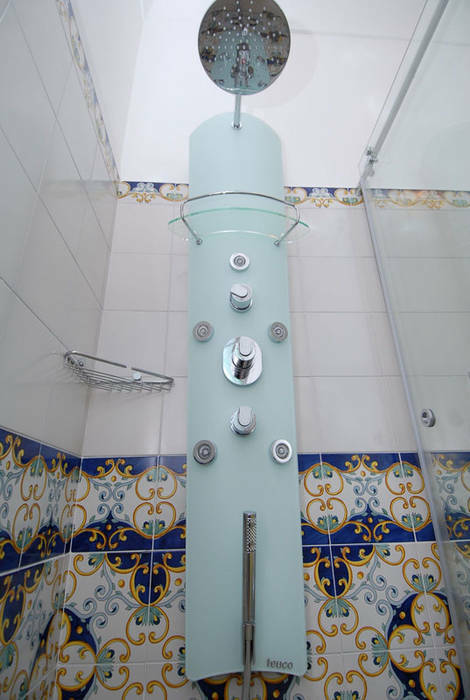 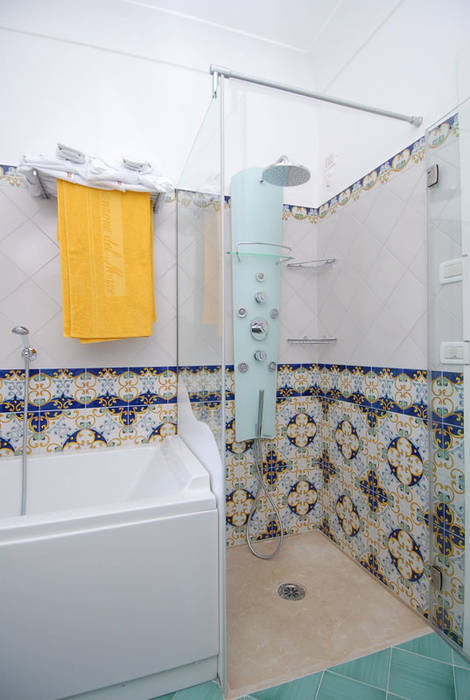 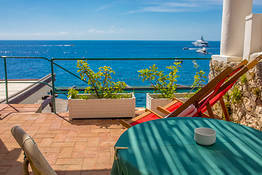 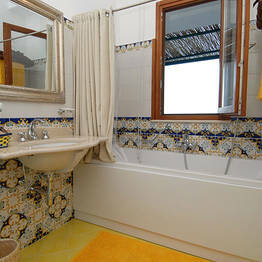 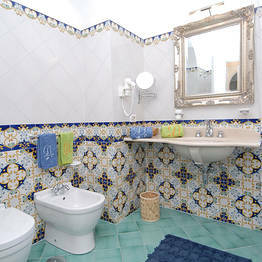 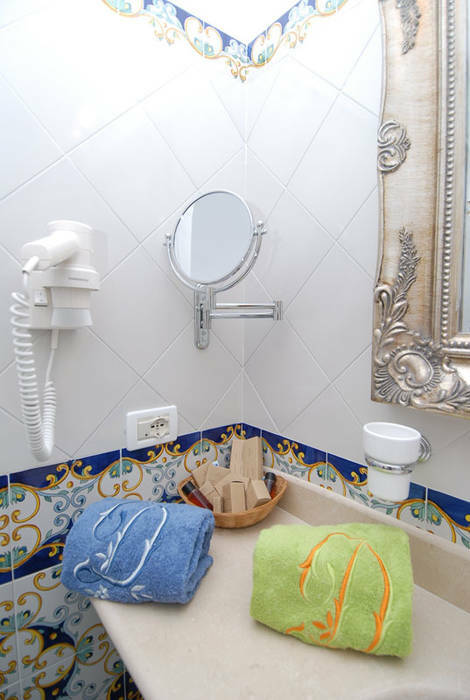 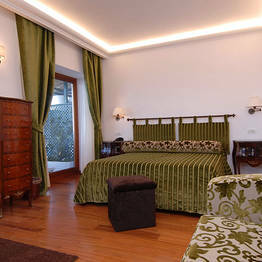 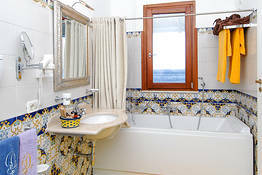 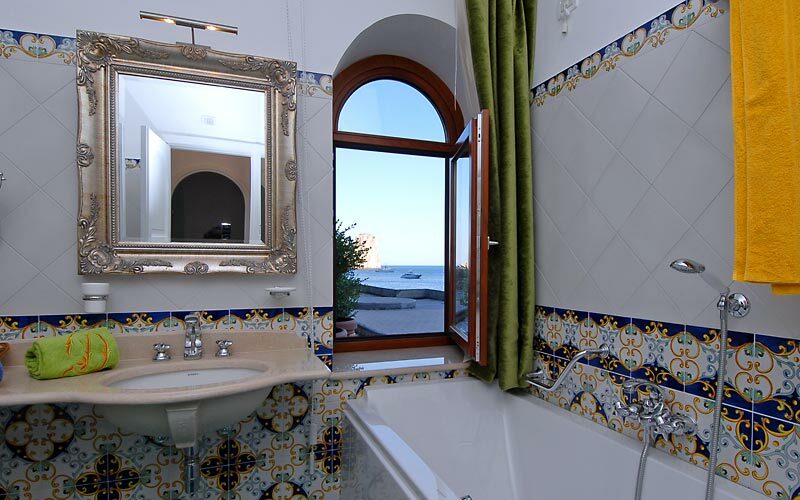 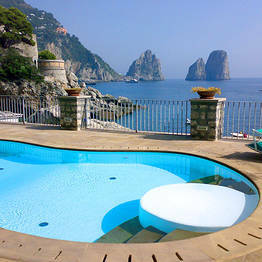 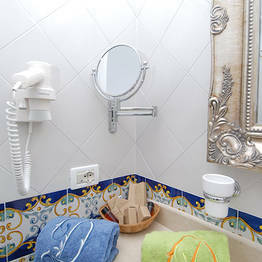 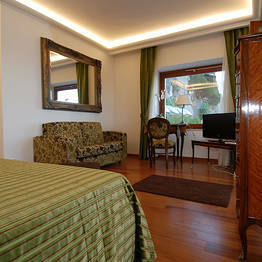 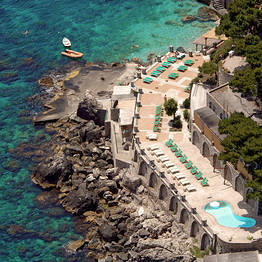 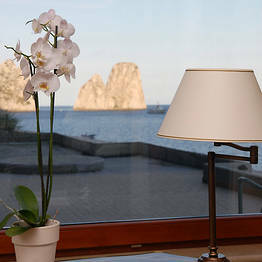 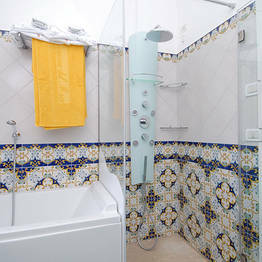 Diva Suites, the guest house of the island's historic La Canzone del Mare bathing establishment, is just such a place. 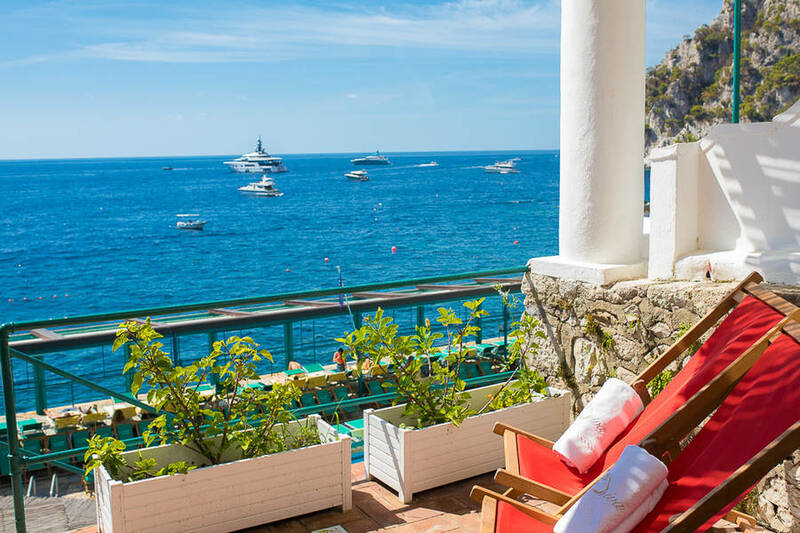 Combining timeless Mediterranean elegance and the ultimate in contemporary comfort and technology to perfection, the guest house's spacious, light-filled suites are as gorgeous as the icons of female beauty after which they have been named. 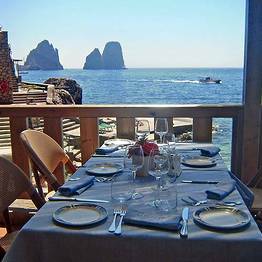 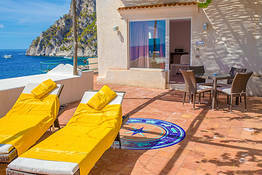 When they are not relaxing in their room, guests staying at Diva Suites might easily be found savoring the excellent island cuisine served on the terraces of Canzone del Mare's restaurant; soaking up the sun by one of the bathing establishment's pools; or swimming in the crystal clear sea, beneath the Faraglioni rocks. 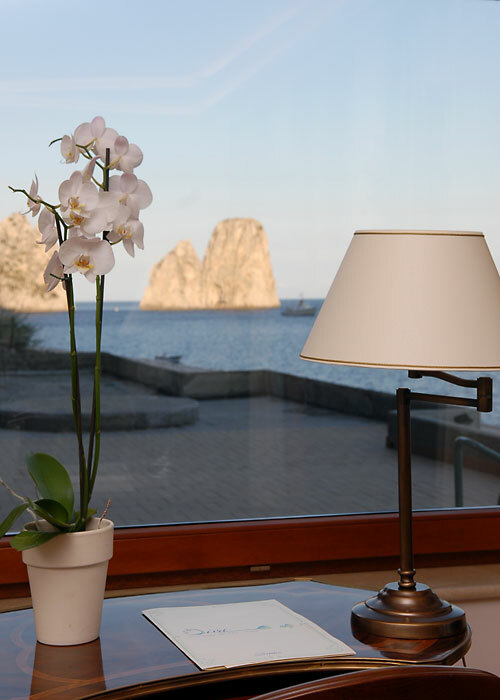 "The view from our bedroom window was amazing: we looked straight on to the Faraglioni and the Siren's rock. " 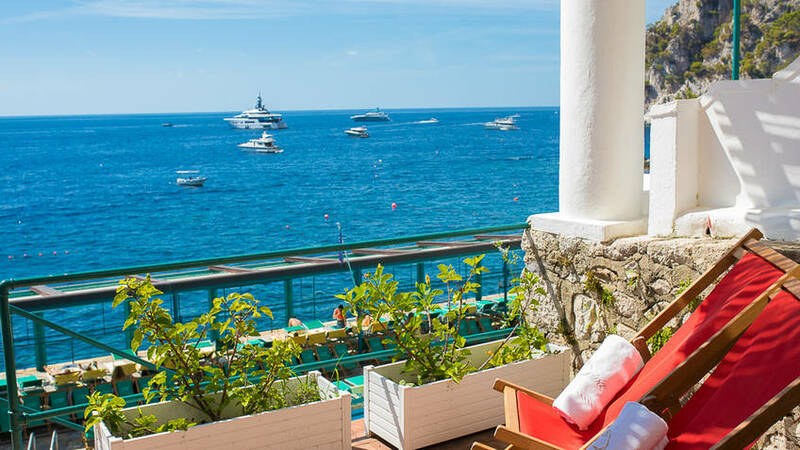 "The perfect choice for a holiday by the sea: the beach and one of the island's historic bathing establishments are, quite literally, on your doorstep. " 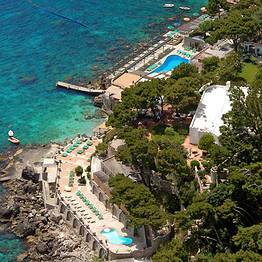 "During the day, the bathing establishment and swimming pool got crowded. 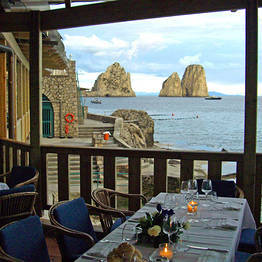 But at night, the place was incredibly peaceful. 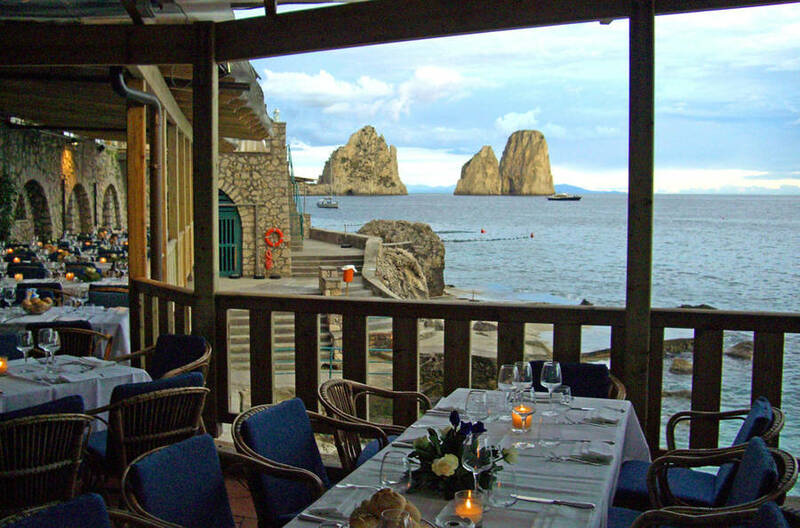 The view of the Faraglioni was awesome." 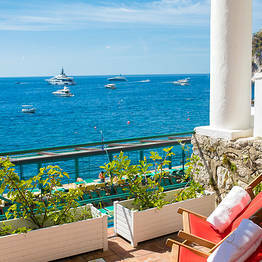 "The suites, named after the female style icons who famously frequented Capri, are suitably luxurious. " 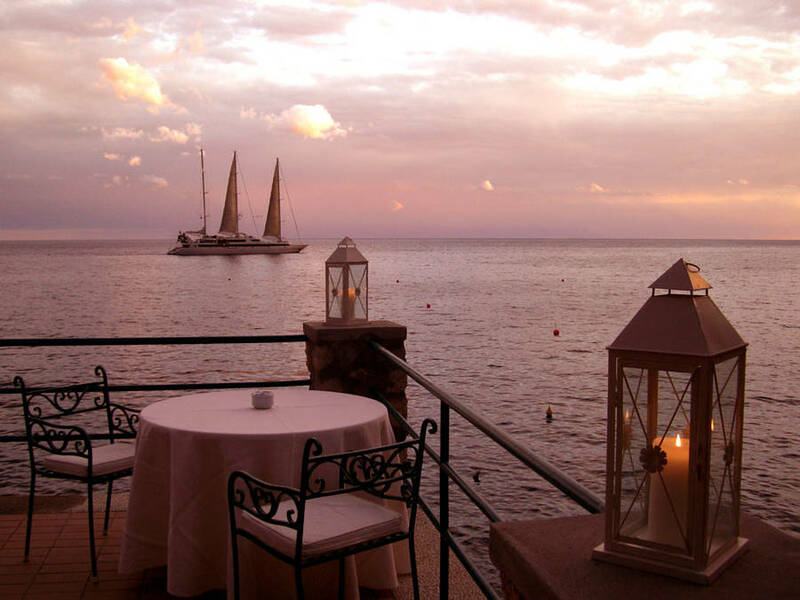 "The only problem was that there were weddings every night. 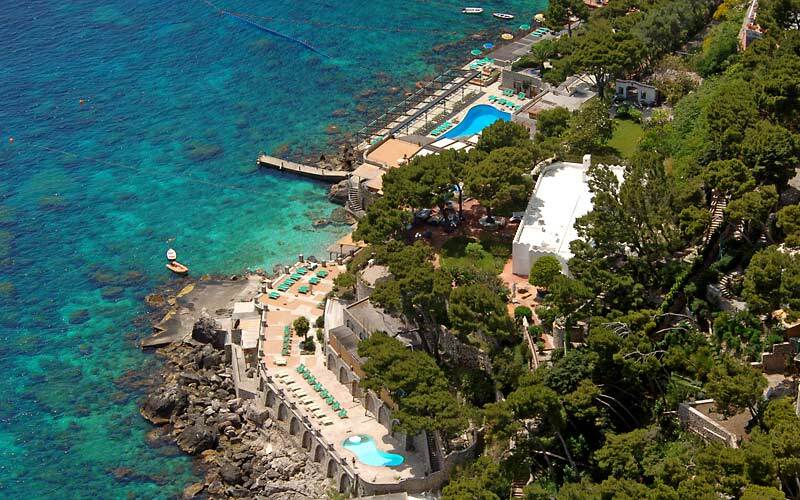 It seemed that the hotel was more worried about the wedding than hotel guests. For how much was paid for the room, not really that great." 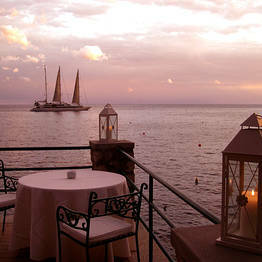 "a true gem of a hotel. 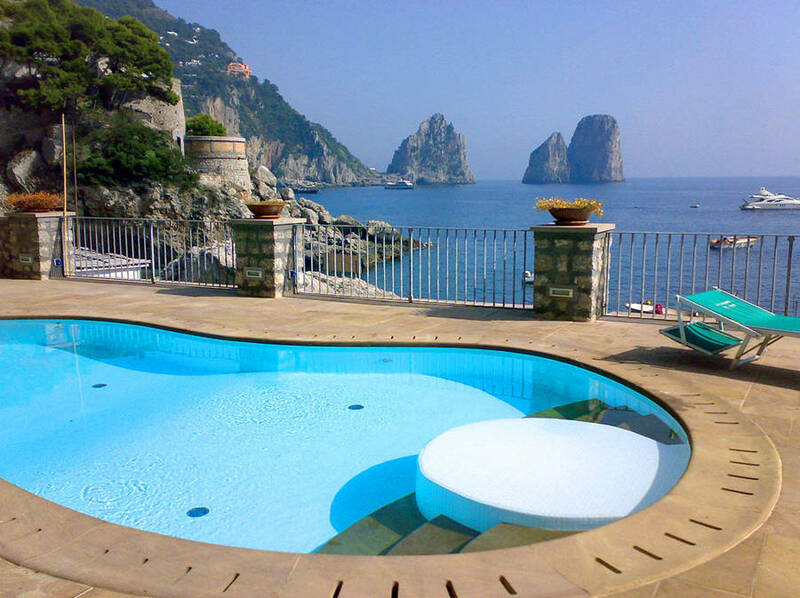 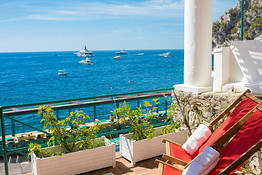 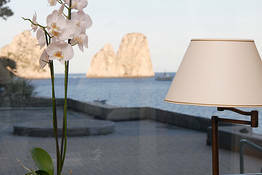 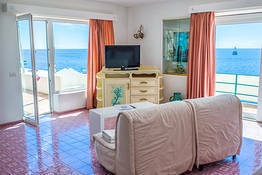 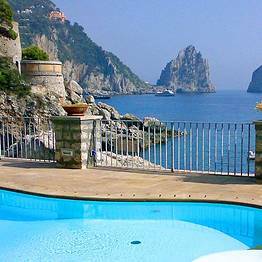 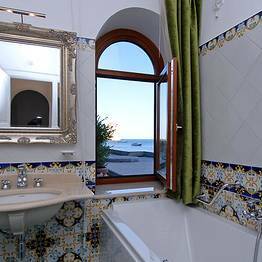 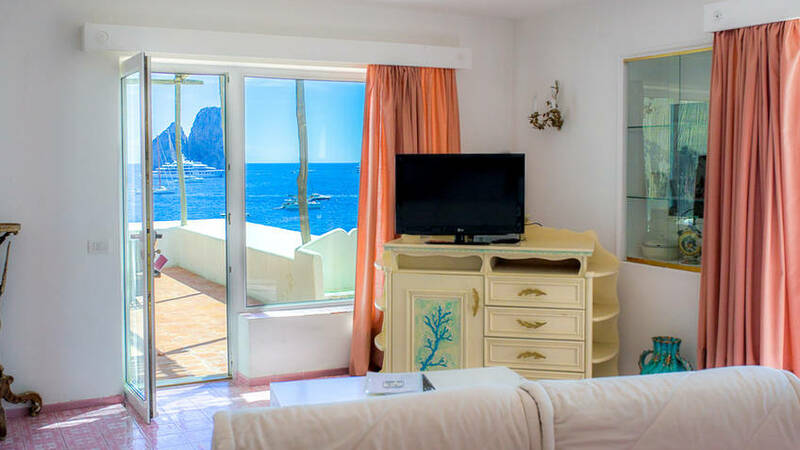 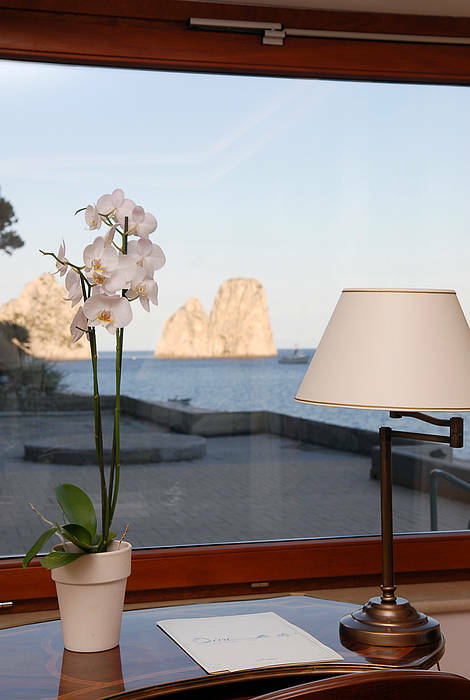 Will certainly return ASAP..."
The Diva Suites are part of Capri's Canzone del Mare Bathing establishment, an exclusive resort situated in the beautiful bay of Marina Piccola, overlooking the Faraglioni rocks. 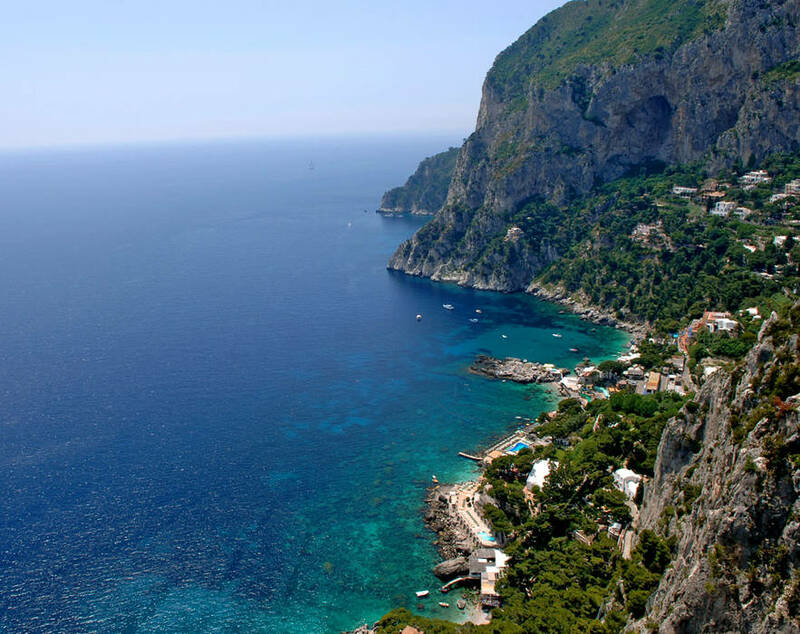 The center of Capri is just a ten minute bus or taxi ride away. 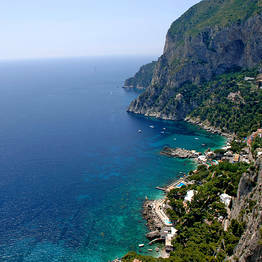 Those wishing to walk can choose to take either the spectacular Via Krupp or the old Via Mulo road. 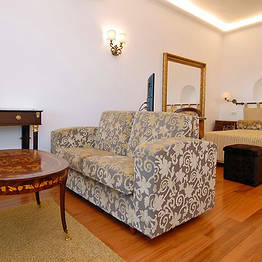 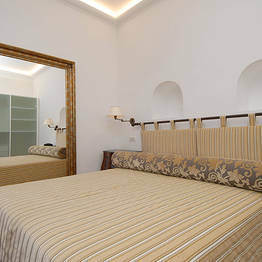 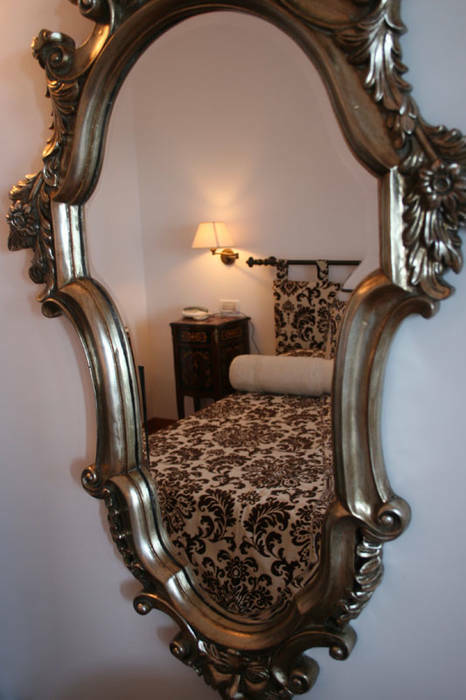 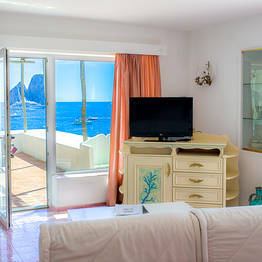 Book Diva Suites on Capri.com now with no additional booking fees.